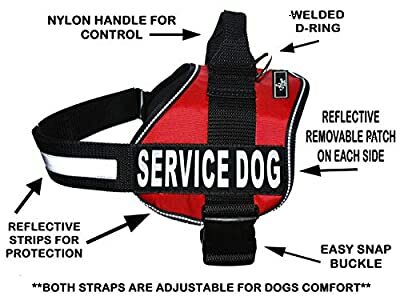 This harness has reflective Velcro patches on each side of the harness. The entire breast strap is reflective and the harnesses entire trim is reflective for your canine's safety. The handle ahead gives trainer extra control in all situations. It is developed with durable 2 inch nylon. The bottom is constructed from neoprene which adds support and defend against abrasions like couple of products do. A stainless steel heave obligation D-ring is located on top of the harness for simple access to your leash. The entire harness is double sewn to add stamina for all activities. 2 flexible straps to ensure customized fit specifically for your canine. The 2" inch simple breeze launch buckle makes this harness the most convenient harness to place on and take off.